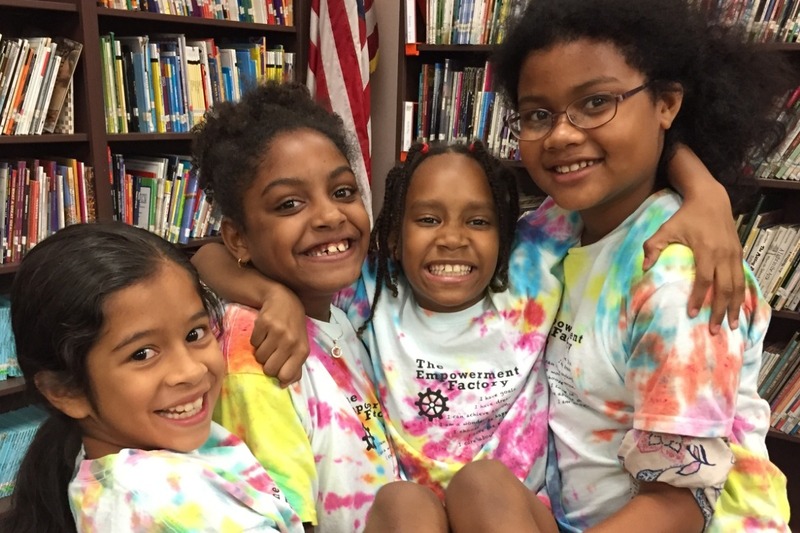 The Empowerment Factory (TEF) blends social and emotional learning (SEL) with creative arts, language arts, life science and civics with a unique teaching model. We offer programs for afterschool, out of school, summertime learning and special workshops. TEF staff also offers engaging curriculum, which they will present alongside formal educators in the classroom to provide experiential hands-on on-the-job training. Modules are adaptable to all ages, grades 1-8, and can be presented as a one-day session (3-hour class), three-days (2 hours each day) or a 5 -10 week sessions. Our Creative Squad Program is seeking funding to help us bring education, art, interpersonal and relationship skills, and empowerment to the inner-city youth of Pawtucket, Providence and Central Falls, Rhode Island. While we have received some financial support for this program, our funds are very limited and often do not meet the minimal financial resources we require for these beneficial projects and events. Your contribution will help the inner-city youth of Pawtucket,Providence and Central Falls come together to create friendships, learn about the environment and the world around them (Science, Nature, Art, & Community), while building relationships, self-esteem, and interpersonal skills. We provide experiences that help to build a stronger community. Your donation will be utilized towards the costs of transportation expenses, art supplies, gardening supplies, and other supplies for each of our events. Baldwin School Garden – This project provides gardening and scientific education. The youth will learn how to plant seeds, nurture the soil, and nourish plants to grow. This teaches them the importance of responsibility, about each plant and vegetable species, working together as a team, where food comes from, and how it grows. The secondary effect is we’re building gardens to beautify our community. Your donation will help to purchase seeds, soil, and plant food for this project. Art Mural - Our Youth created four large murals that have been mounted outside of Ama’s Market in Pawtucket. These large murals are about healthy eating, exercising and making healthy choices. This was the first installment in the first Pawtucket Walking path “The Baldwin Loop”, which is part of a community enrichment program promoting health and wellness in the Pawtucket Community. The secondary effect is that we’re building art in our community, as well as health and wellness initiatives. Your donation will help to purchase art supplies for projects like this. Blackstone River - Youth of various ages will journeyed on the Blackstone Valley Explorer, where they learned about the Blackstone River, it’s history, its clean up initiatives and the pollution initiatives, the ecosystem, plant and animal life, and how they can contribute to improving the world around them. This was a full day trip which will include various self-esteem and team building projects. Your donations help with transportation costs, and art supplies for projects. Recycling Center – We took the youth on a field trip to the recycling center, where they got a behind the scenes tour and education on how items are recycled. This teaches not only the effects on the environment of not-recycling, but the positive benefits that results when recycling becomes a practice, how its transformed, and what it can be transformed into. Your donation helps with the coordination and transportation for trips like this. Empowerment Classes - Empowerment classes are held at The Empowerment Factory throughout the year. These classes provide projects that are focused around improving self-esteem, goal building, education, self-expression and interpersonal skills. Each session will be revolved around a related project that brings awareness to a specific goal and create open discussions. 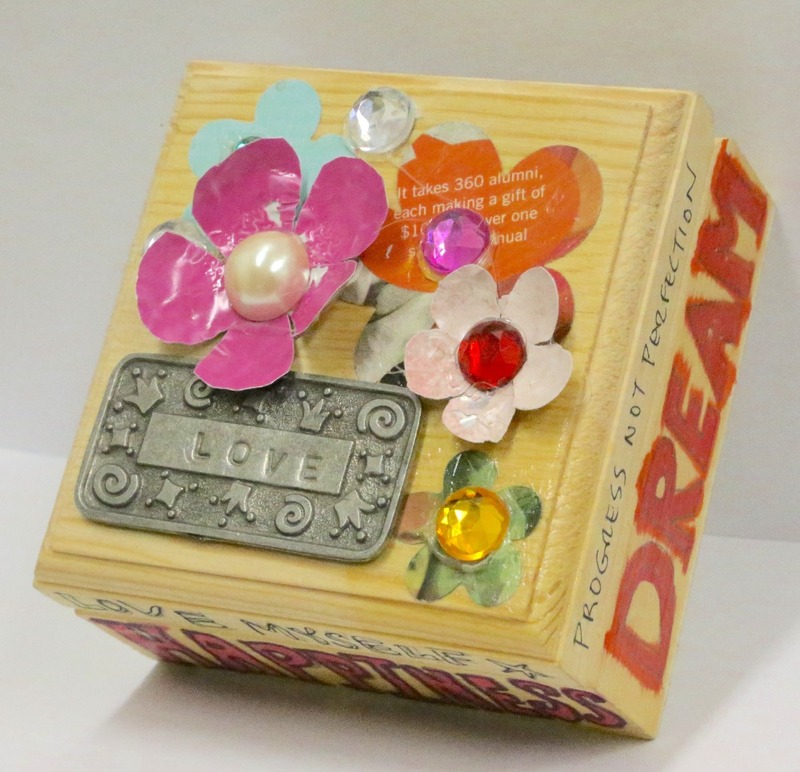 Your donation will help provide art supplies and teachers for these projects. We are grateful for any support you can help to make these programs successful. We want to bring enlightenment to and guidance to building stronger minds and lives. Our programs have been ongoing for the past four years and we want to really continue to inspire, motivate and educate the youth of our community to create greater opportunities for their future. Every dollar you contribute helps us greatly, and is tax deductible. Please consider The Empowerment Factory for your year end giving, as we work together to teach life skills to at risk youth. Your donation will make a difference in our community. Invest in our future by giving today and thank you for caring about building a better tomorrow. We only need $395 more dollars to reach our goal. We are looking for ways to raise the funds to support our community programming. I hope you will partner with us to create a happier, healthier world.